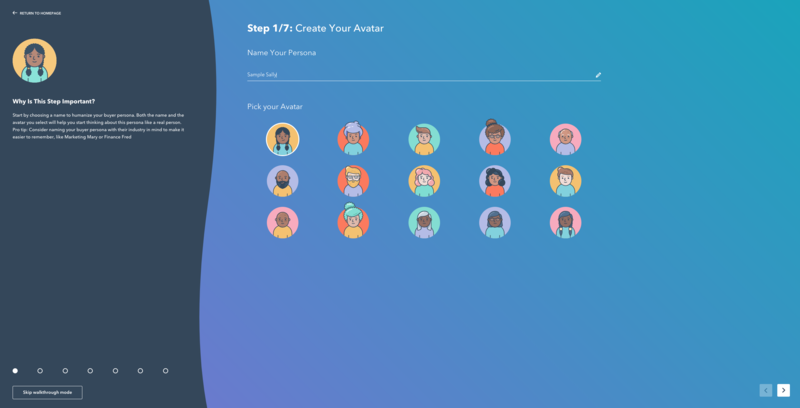 Check out the Make My Persona tool for quick and easy persona creation. 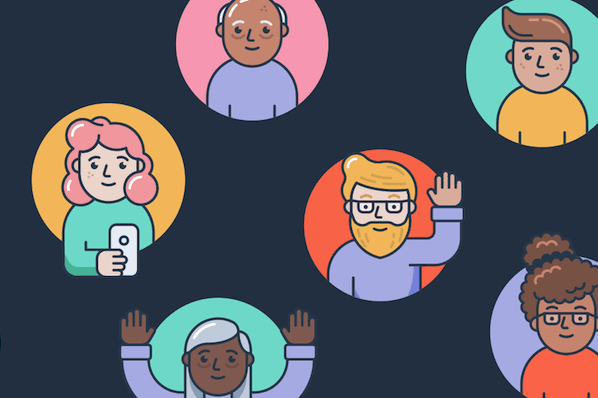 As marketers, we're tasked with making a living out of making a connection -- but not just any connection. 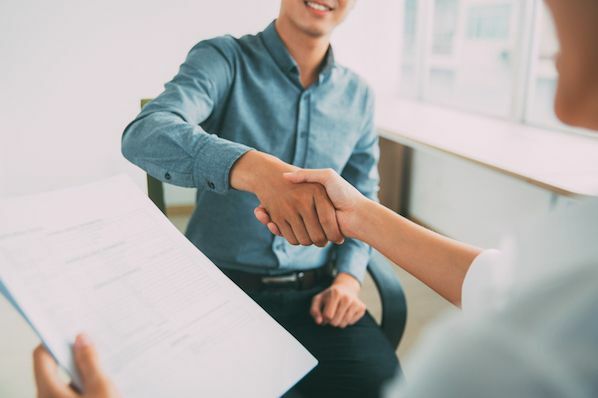 To scale growth and keep acquisition costs down, your time and resources need to be spent positioning your business in front of the right people, at the right time. That's where buyer personas come in. Well-researched buyer personas align departments -- marketing, sales, and services -- around actionable audience insights, creating a clear picture of exactly who you are trying to attract and serve. But before you can begin refining your strategy to match your ideal customers’ preferences, you need to document your persona in a way that’s both visible and actionable. 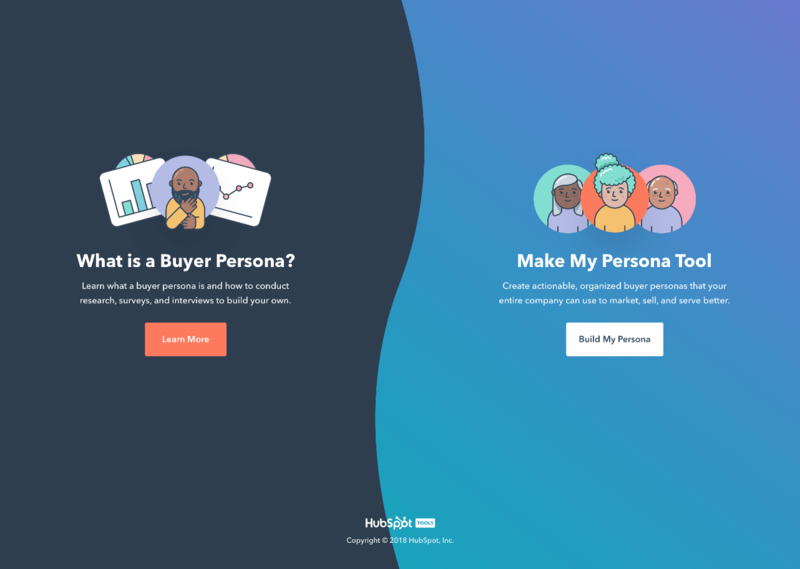 Introducing Make My Persona, an interactive web tool that generates buyer personas for you after answering a series of questions about your ideal customers. The free tool guides you through strategic questions designed to help you organize and better understand your buyer persona research. Upon completion, you're presented with a fully customizable, shareable persona document highlighting important details about your target audience. No more unmanageable documents filled with disconnected persona research notes. No more stressing about the format and design. 1. Go to hubspot.com/make-my-persona and select your path. We understand that buyer persona creation has several phases. That’s why we designed two unique paths for you to choose from based on what information you need. You can head straight to the tool to start organizing your persona data into a meaningful, customizable buyer profile. We’ve got you covered with an educational guide designed to help you learn what a buyer persona is, how to conduct research, surveys, and interviews, and how to ultimately use this data to build your own persona. 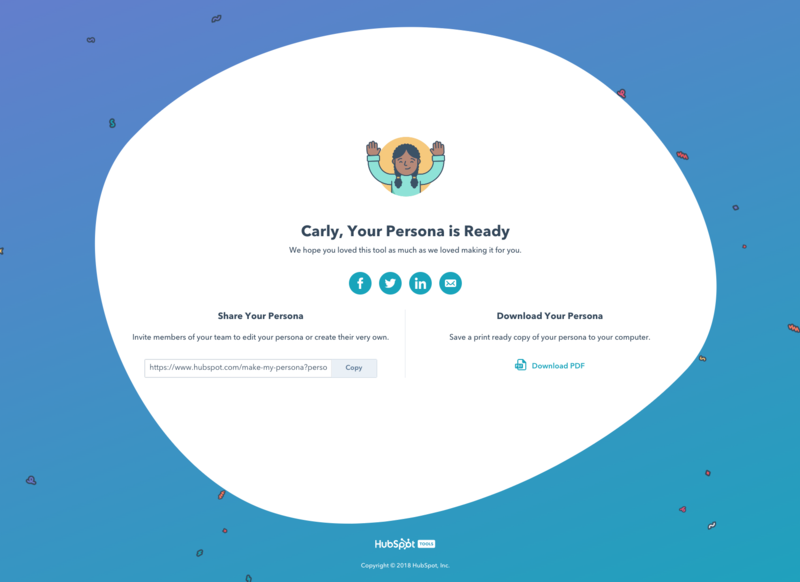 Once you complete your research, you can revisit the tool to continue generating your persona. 2. 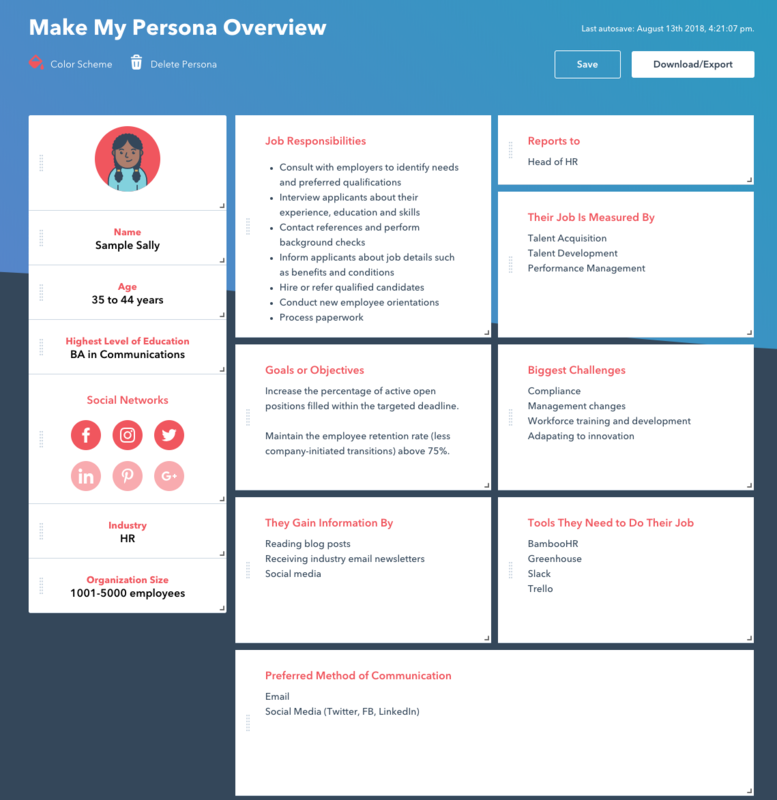 Fill in details about your persona via the guided walkthrough. Make My Persona will walk you through a seven-step persona creation flow. Each stage of the flow focuses on a different aspect of your buyer persona -- from their age and education to their goals and challenges. Note: If you’re not prepared to answer one of the questions in the walkthrough, don’t panic. You can skip ahead at any time and revisit and edit your responses later. Once you complete the walkthrough, you’ll enter the persona document editor. At this stage, you can customize the look, feel, and format of your persona document to align with your unique business needs and branding. Have these questions in mind once you start creating your persona in our Make My Persona generator. 4. Download your buyer persona as a PDF or use your unique share link to collaborate with your colleagues. Happy with your persona document? Download it as a PDF and share it far and wide across your organization. Remember: Buyer personas aren’t just useful for marketers -- everyone can benefit from having a better understanding of your ideal customer. Email your fancy new PDF to the entire company, including your superior. 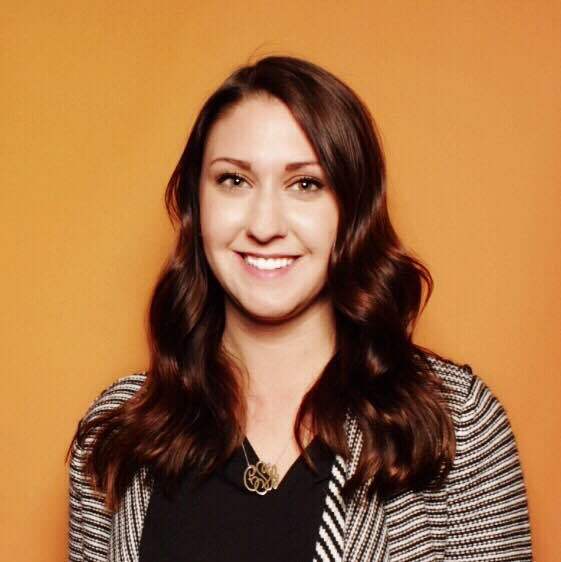 In the email, explain what buyer personas are and why they're important. Then, introduce your buyer persona using the characteristics produced in Make My Persona. Present your new persona(s) in your next company meeting, explain why they are important, and how this persona will help your business succeed and grow. Think about this persona every time you create a piece of content and ask yourself: Is it helping them achieve their goals or solve their challenges? Print out a few copies and put them on the walls around your office. They'll be friendly reminders of whom you're doing all this for. Note: We’ll store your persona info in case you want to go back and make updates. In fact, we encourage you to think of this as a living, breathing document that you should regularly revisit as you learn more about what makes your audience tick. Not quite ready to ship it? That’s fine, too. We’ll provide you with a collaborative link you can share with your team. 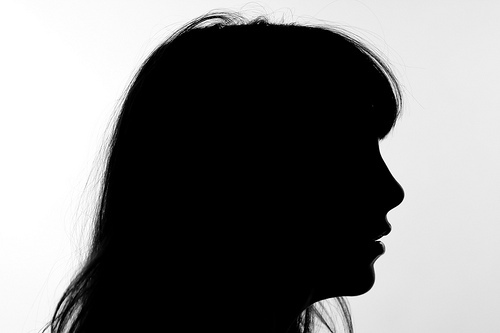 This link will generate a copy of your persona which your colleagues can edit as they see fit. When you land on a variation you all agree on, you can save it as a PDF. 5. Share the tool with someone in your network.